Here in Warwick, I am famous for my ice cream. Really. Well…I am famous among a small group of twenty-something people who grew up around here and still visit our house when they are home. Hehe. When Brian’s wonderful friends come to visit, they often stay up way later than Bob and me. I play a little game of trying to figure out how many people are sleeping here in the morning. It involves counting the huge young-man-shoes on the rug in front of the door. On those mornings, there is almost always a major reduction in the content of the ice cream container in the freezer. In fact, it’s not entirely unusual for Brian to reach for said container and spoon as soon as certain of his buddies walk in the door. This is the one “recipe” everyone requests. The reason I put it in quotes is that it is constantly morphing. I change it depending on what else I’m serving, the time of year or feedback I’ve received about the last batch. The thing that is remarkable about this ice cream is that it does not require a machine. And it is creamy! And dense! And has that chewy consistency that good ice cream must always have. I first learned of a way of doing this from a Cook’s Illustrated recipe. But I have taken it to heights heretofore unimagined by the likes of Chris Kimball and his crews in Brookline and Vermont. 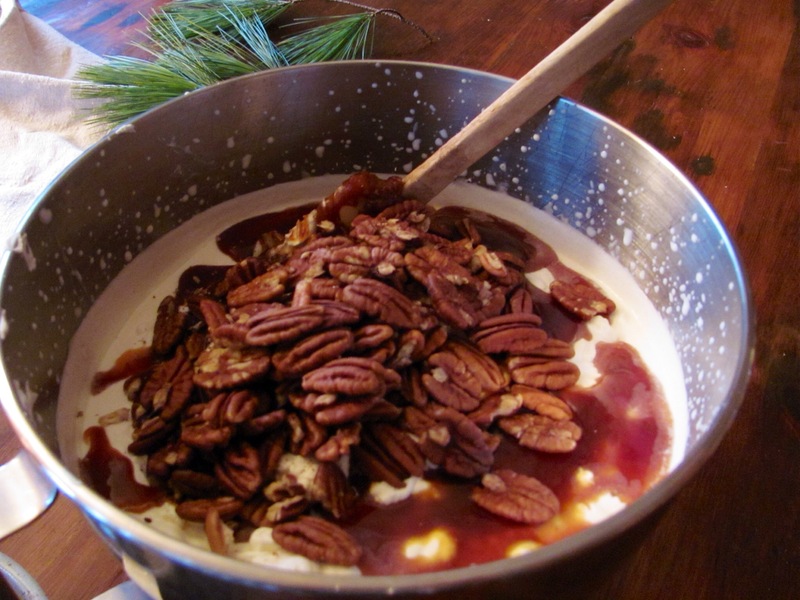 You want heavy cream, not “whipping cream,” for this. And use good sea salt. 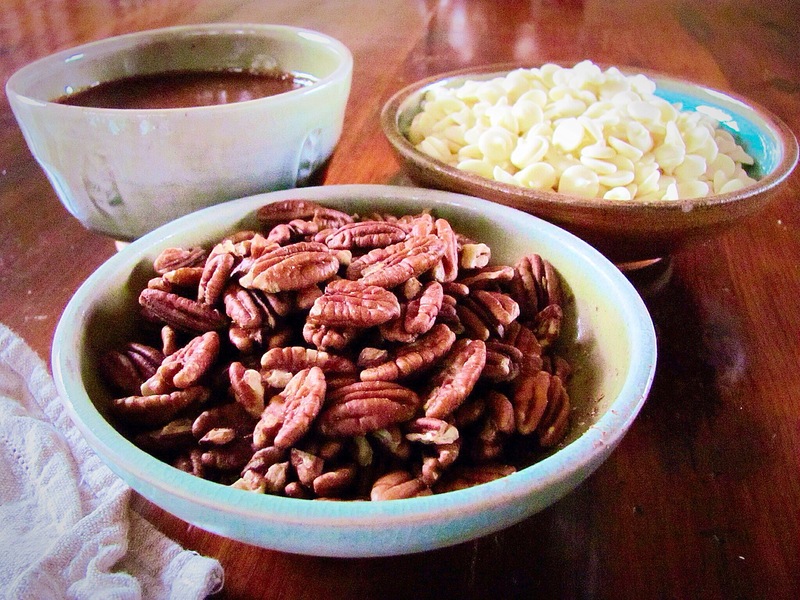 I toast the pecans in the microwave; you can do them in a skillet or the oven. I suppose you could probably use purchased caramel sauce. But then, again, you can buy ice cream in cardboard containers, too. 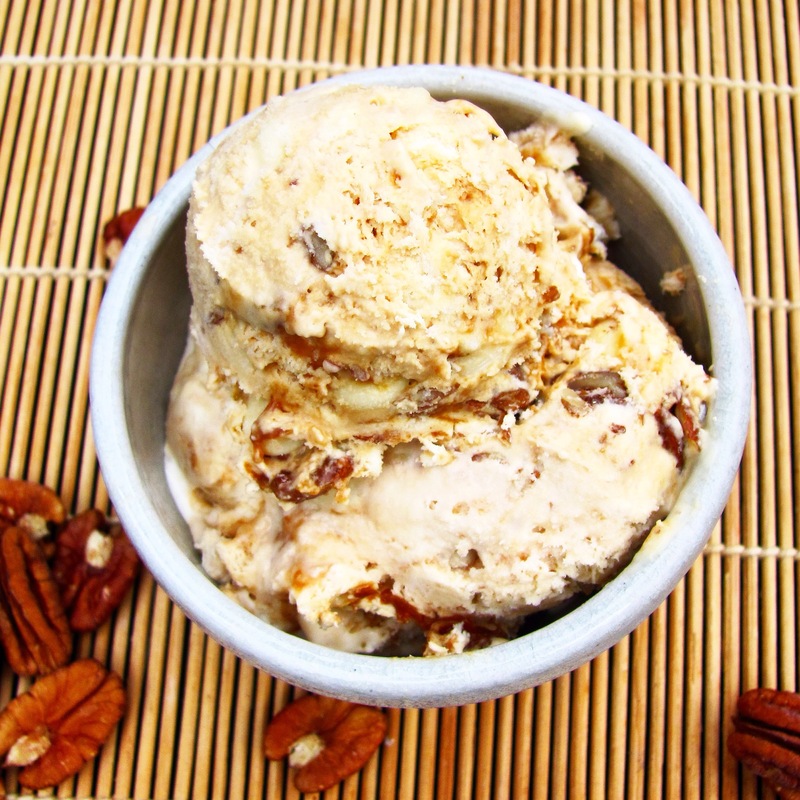 You need to let the caramel and pecans cool completely before you make the ice cream. 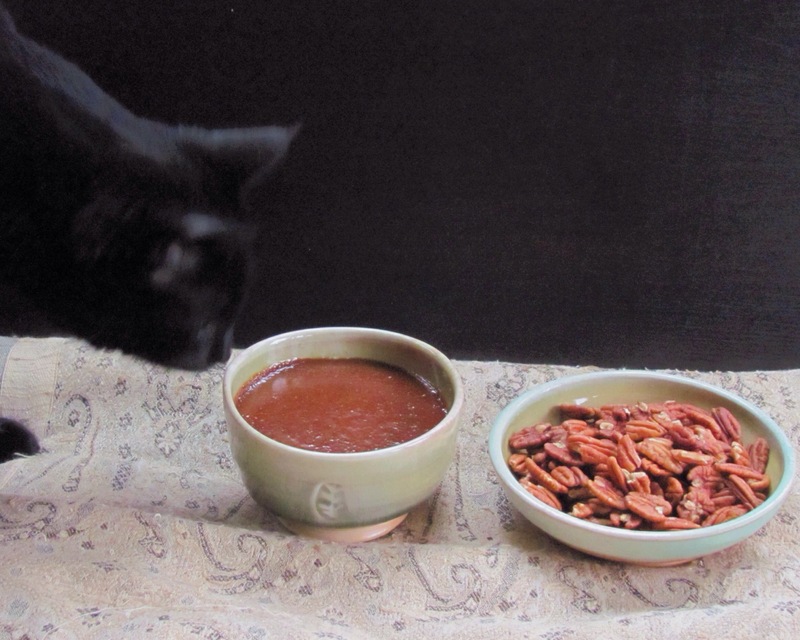 Watch out for creatures who might try to steal (or photobomb) the ingredients. 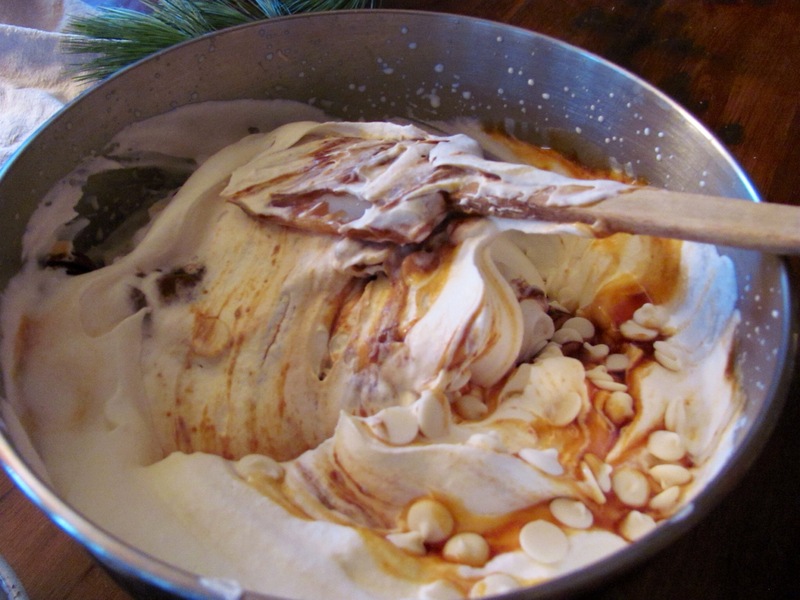 The ice cream needs to freeze for at least 6 hours before you can serve it. Which doesn’t mean that everyone won’t snitch some while it’s freezing. 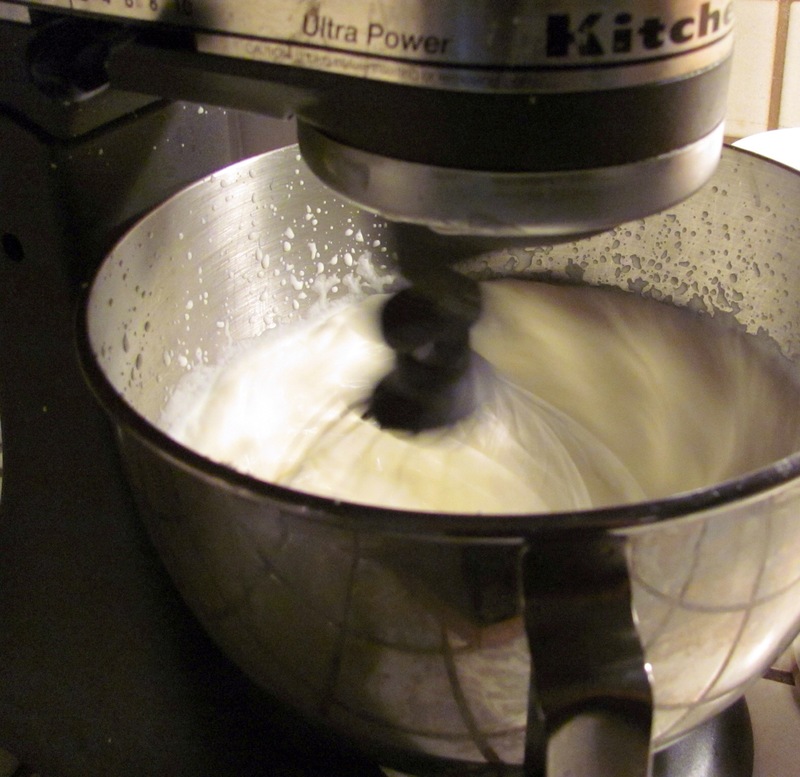 Whip the cream in a stand mixer or with a hand held until it starts to thicken. 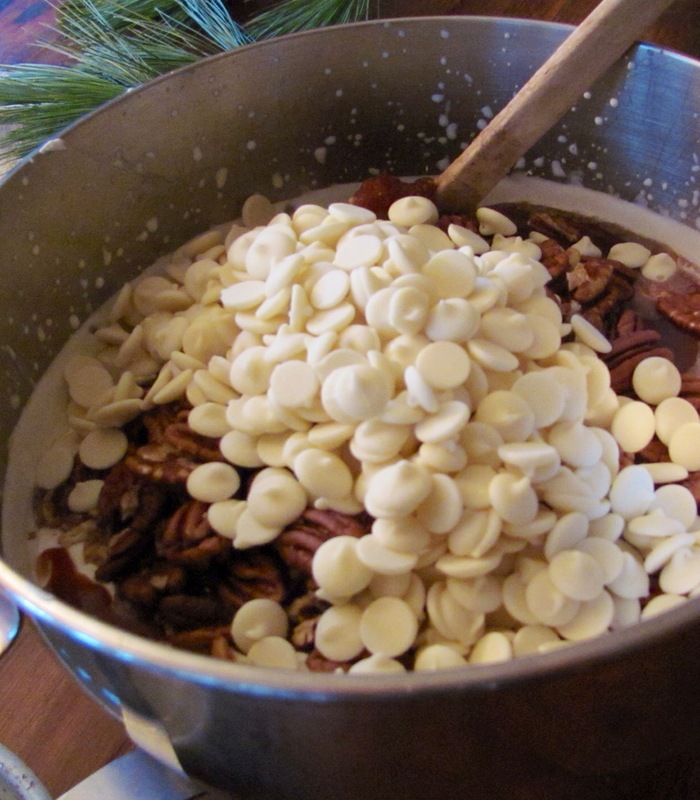 With the mixer on, slowly add the condensed milk, syrup, and salt. 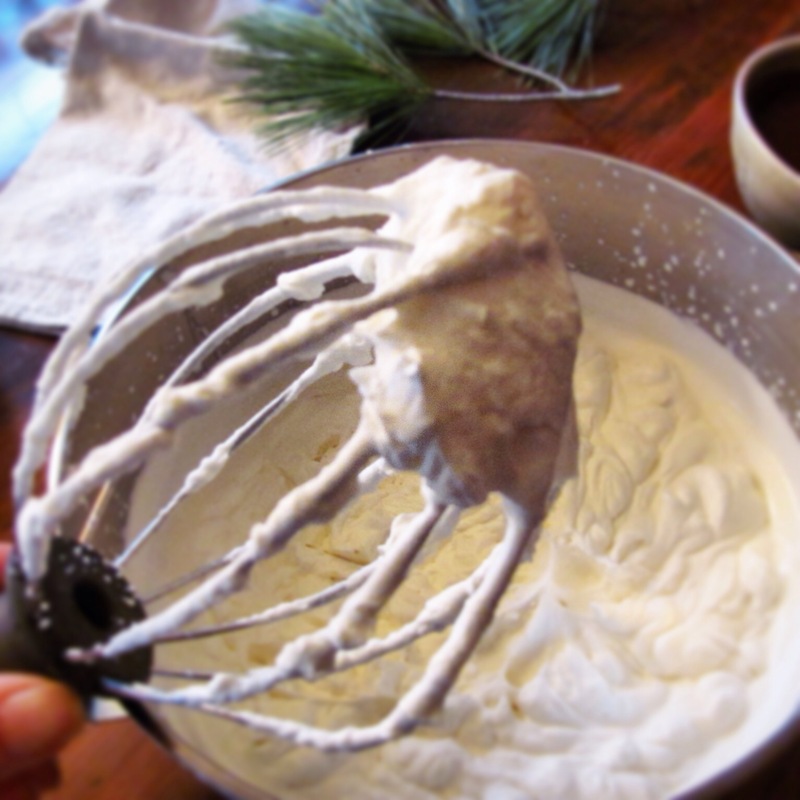 When the whipped cream holds stiff peaks, fold in the remaining ingredients by hand. I like it barely mixed. 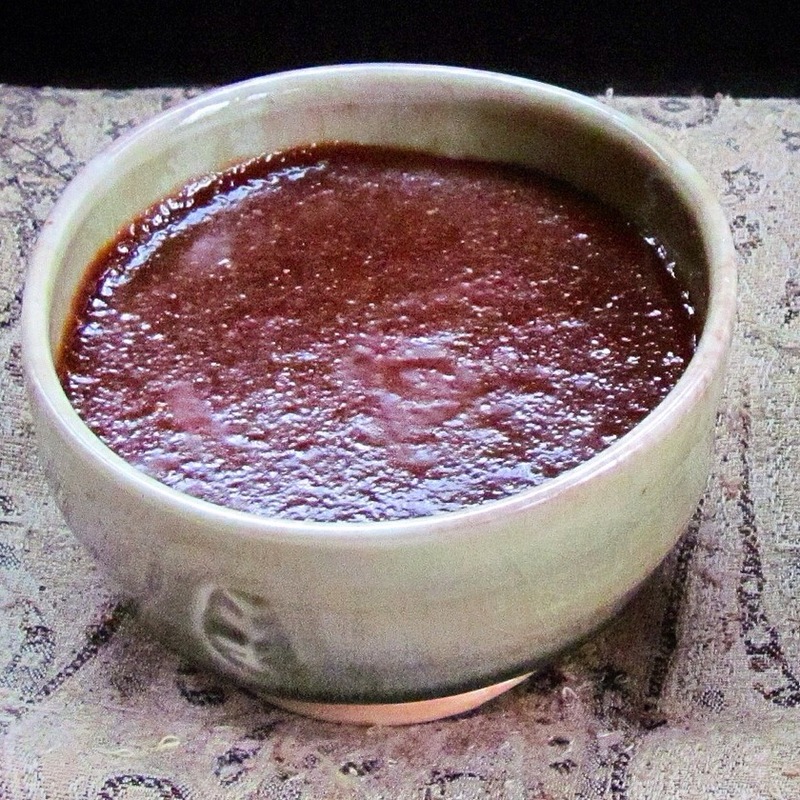 Transfer to a big, lidded container and freeze for at least 6 hours before serving. Serving suggestion: Crack Bark is a really good accompaniment! Put the sugar in the bottom of a very heavy medium saucepan. Add the water and stir to moisten all of the sugar evenly. Cook over high heat. You’re not supposed to stir after the sugar melts and you are supposed to brush down the sides of the pan with a wet pastry brush. I do these things and my caramel always turns out well. Yes, it’s a bit fussy. 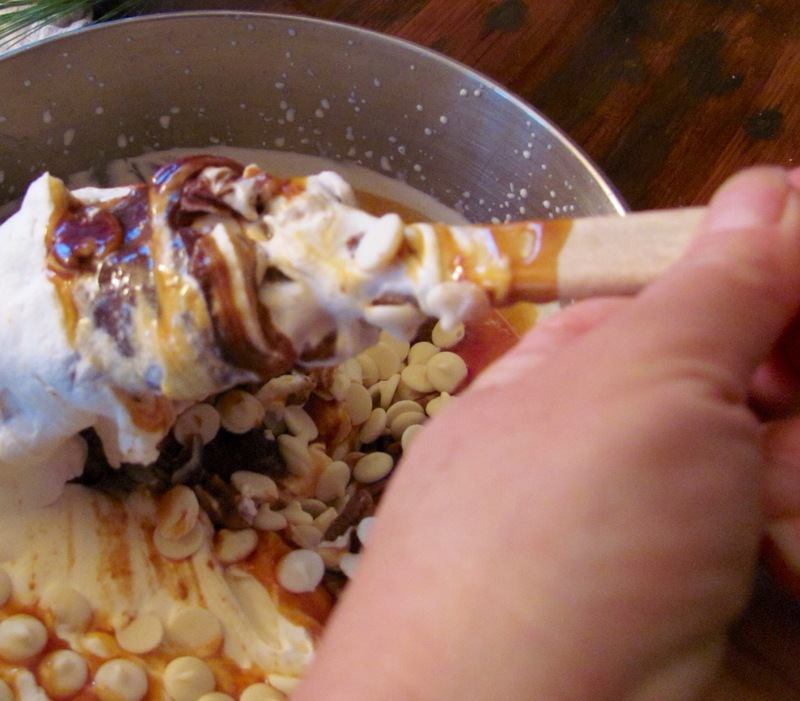 I can’t tell you how long it will take for your caramel to cook, it depends on your burner. Mine takes 8-10 minutes. You are looking for it to be amber in color. Watch it carefully, it will go from amber to burnt in a heartbeat. And then you have to start over. I hate when that happens! 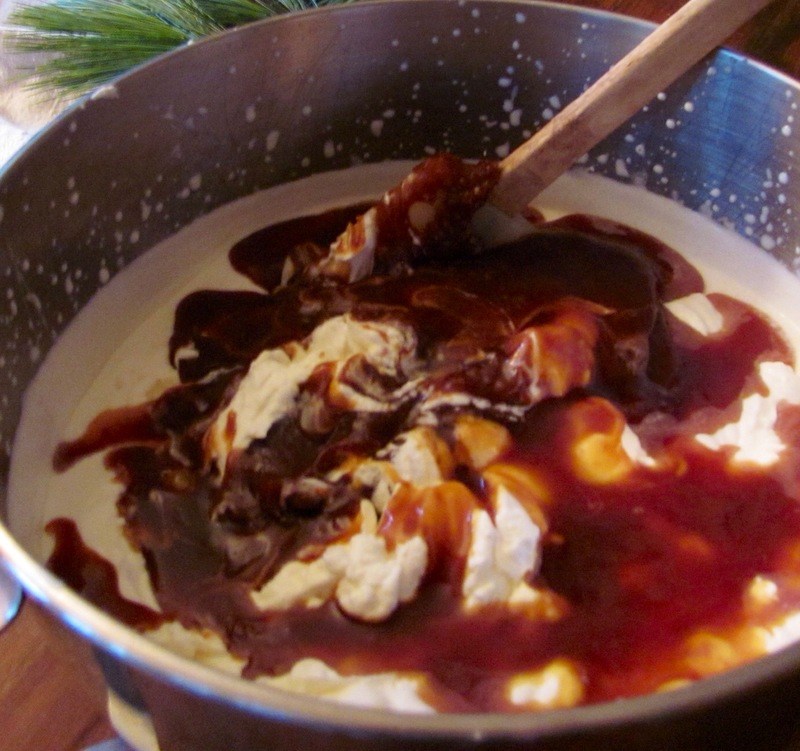 Keep the cream nearby while you are cooking the caramel, that’s how you stop the cooking when it’s the right color. As soon as you think it’s right, pour in the cream. It will bubble like mad and look like a nuclear accident. Don’t worry. Stir it and let it calm down. Now take it off the heat and add the vanilla and salt. Pour it into a heatproof bowl to cool. Don’t under any circumstance think you can taste it right away or lick the spoon with which you stir. You will burn yourself! Consider yourself warned! 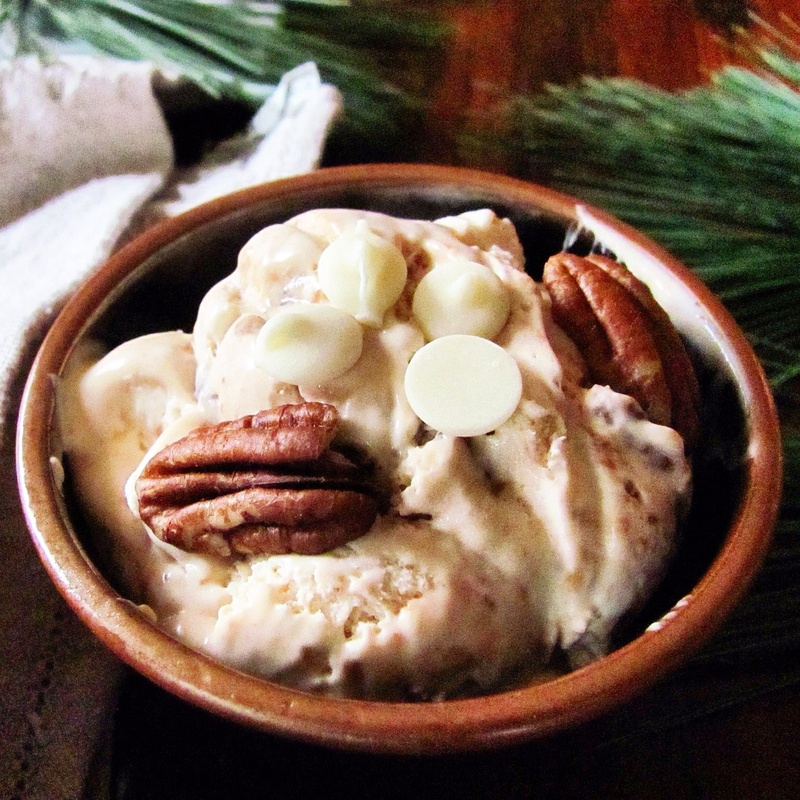 You are going to love this ice cream, I promise. Leave me a comment and let me know if you try it! 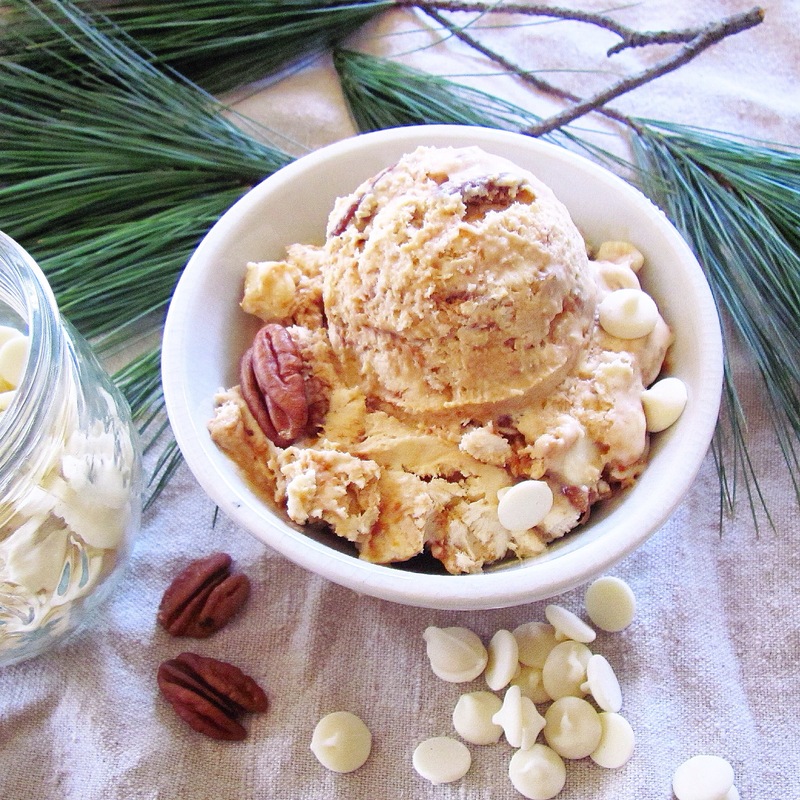 This entry was posted in dessert, ice cream, treats and tagged caramel sauce, crack bark, no churn, no machine, pecans, salted caramel, white chocolate. Bookmark the permalink. This is everything Martin loves. I’m going to try it for tomorrow night, but of course I’m going to have to make the cream in the Vitamix. 🙂 I’m also going to want to experiment with a coconut milk/vegan version of it. Thank you for this Deb! I’m sure he will love it. I want to help with the paleo version. Let’s do it together, we might have some other customers. This looks amazing. (And the photography is so beautiful.) I can’t wait to try it, but probably won’t get to it until after the New Year, just when I need more rich food! Thanks for posting. Oh my, it looks so incredibly delicious ❤ Your pictures are so beautiful as well! I am the Mom of one of the young men that fills those big shoes! I suspect he is the one that goes directly to the freezer :). 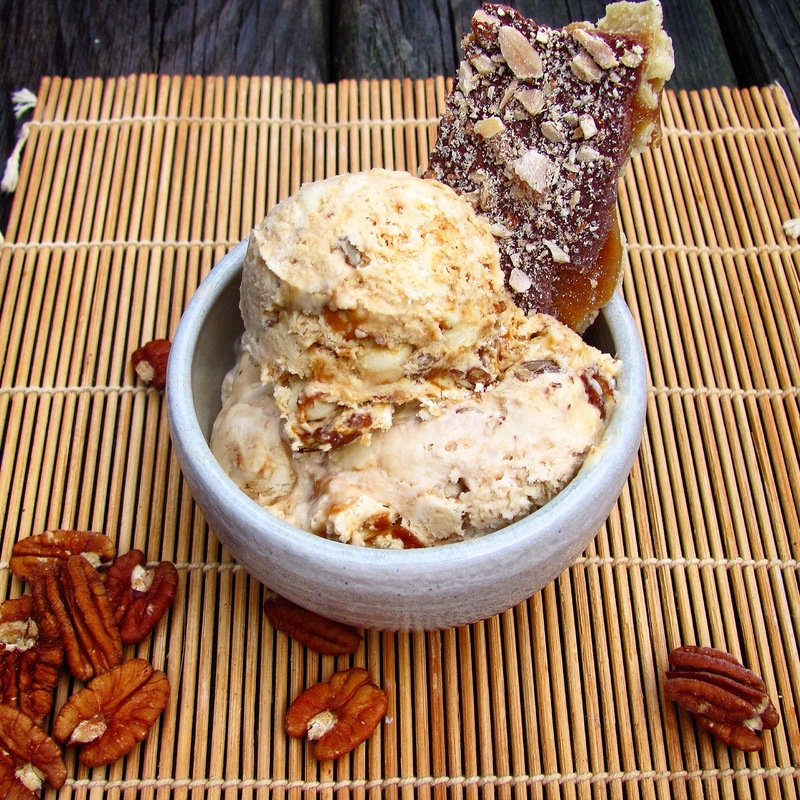 I have heard about this ice cream and now I must try it before I make the leap to Paleo… I’ll let you know how it goes. Rachel, it fills my heart that your beautiful, adorable, tall son enjoys what I create! Mary and I may be working on a paleo version…meantime, let me know if you try this one. Yummy. Everything about this post fills my senses. Thanks for the virtual delights. Query. Is it possible to make a nondairy variation of this?